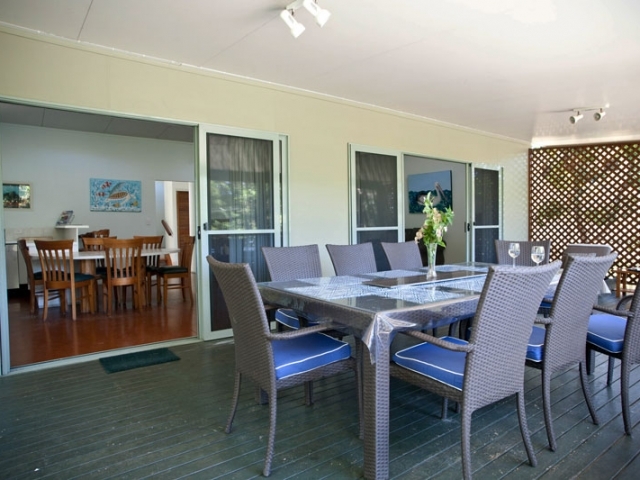 If you're looking for the ideal family getaway on Stradbroke Island, then this is the beach house accommodation for you. 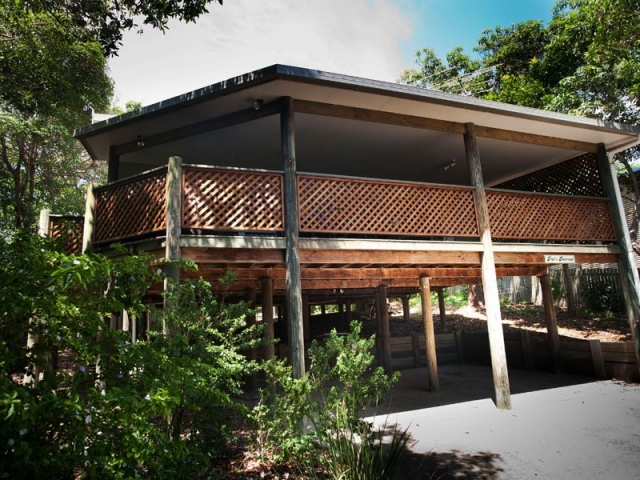 Beautiful beach house offering self contained accommmodation on north Stradbroke Island (Straddie) with all the comforts of a family home. 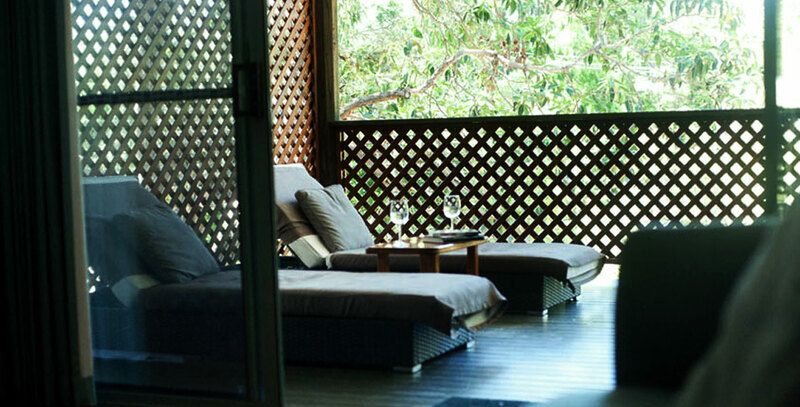 Feel relaxed on the Verandah! 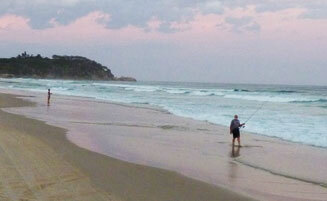 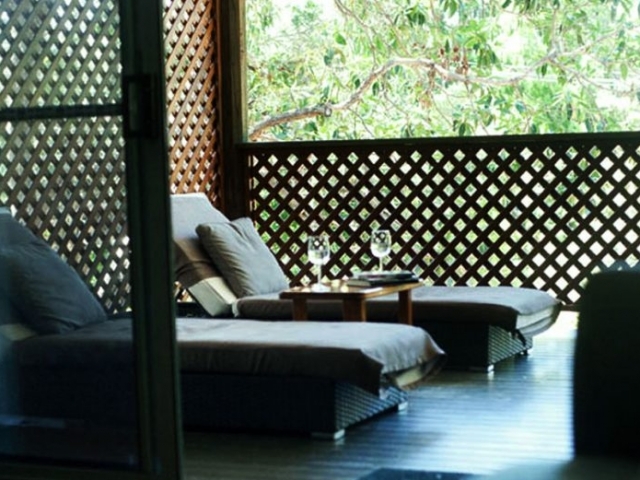 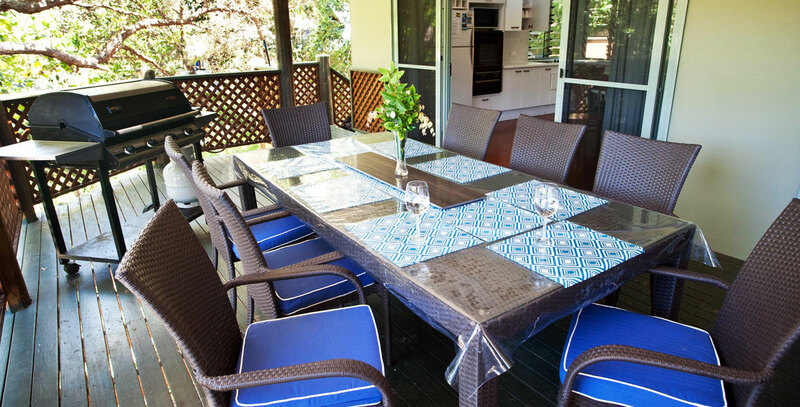 Relax in a beautiful setting only ten minutes walk from Queensland's best unspoiled beaches. 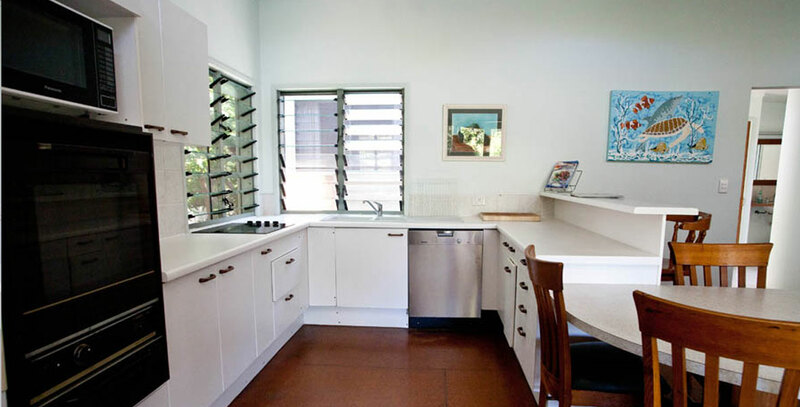 Pat's Retreat is an open style house with a large well appointed kitchen allowing you to create your favourite foods including a Microwave and Diswhasher. 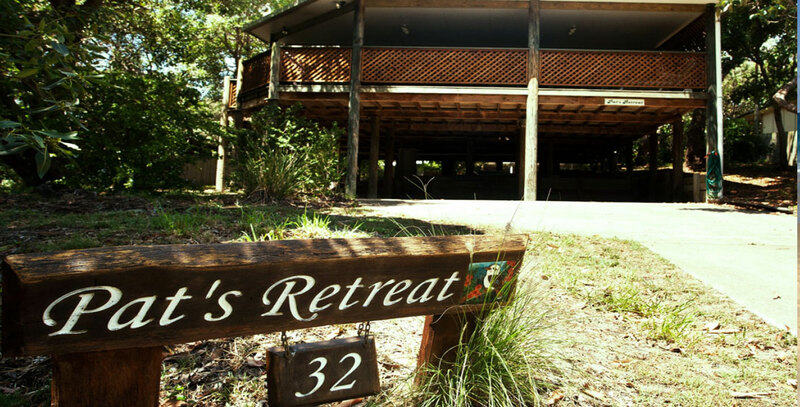 Whether it's fishing, swimming, surfing, having a BBQ, diving, or just relaxing, Stradbroke Island is the place to escape the crowd and enjoy a wonderful holiday staying at Pat's Retreat. 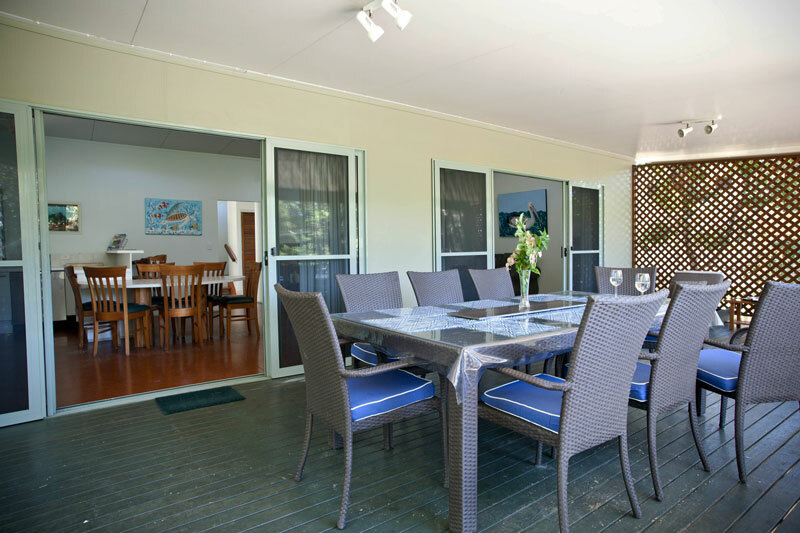 Pat's Retreat is a beautiful beach house offering self contained accommmodation on North Stradbroke Island (Straddie) with all the comforts of a family home and just minutes from the beaches, swimming and fishing. 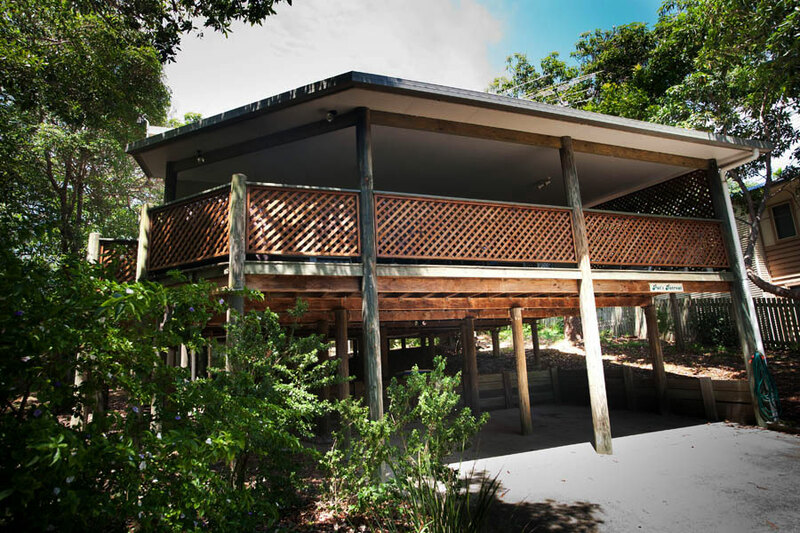 If you're looking for the ideal family getaway on Stradbroke Island, then this is the beach house accommodation for you. 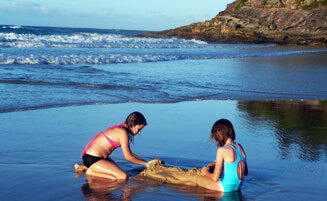 Relax in a beautiful setting only ten minutes walk from Queensland's best unspoiled beaches. 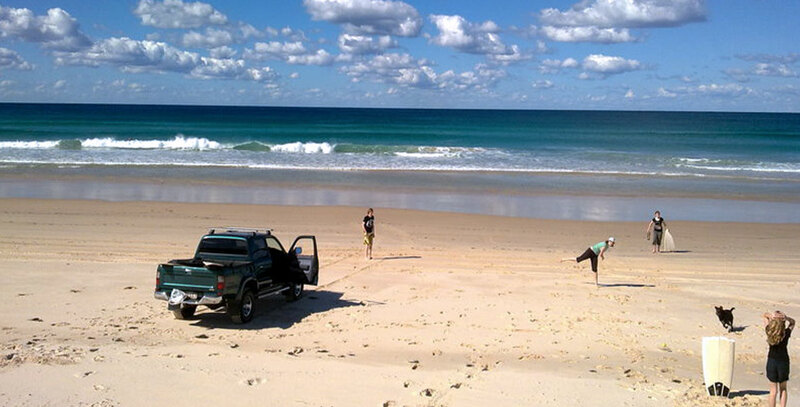 Whether it's fishing, swimming, surfing, having a BBQ, diving, or just relaxing, Stradbroke Island is the place to escape the crowd and enjoy a wonderful holiday.Take a stroll to attractions including the popular Gorge walk. 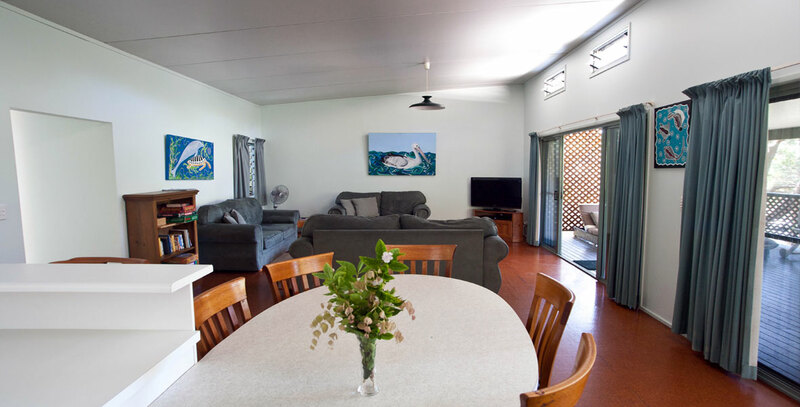 Pat's Retreat rental accommodation is close to restaurants, shops and pubs. 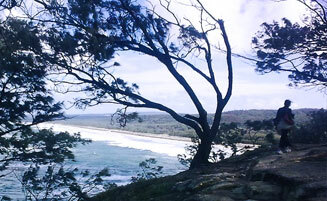 Enjoy all Stradbroke Island has to offer.